DAVID LE/Staff photo. 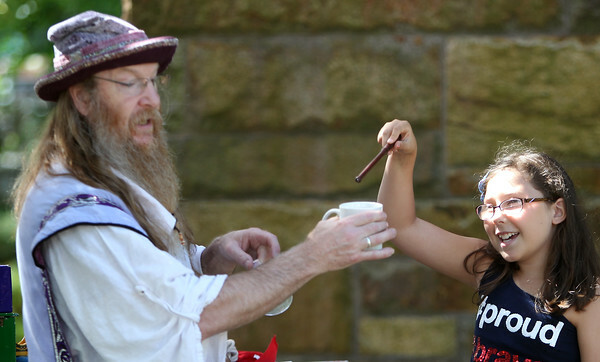 Taylor Palmer, 9, of Manchester, waves a magic wand over a cup of water held by "Ed the Wizard," to perform a trick and make the water turn to ice during a magic show at the Manchester Public Library on Friday morning. 8/7/15.